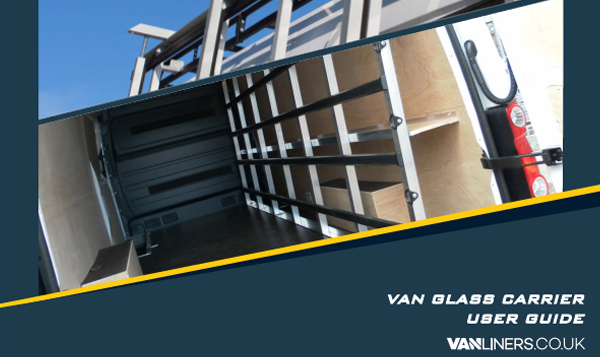 Internal frails are ideal for people who work in areas that require extra security for your product or simply if you don't like the cosmetic look of the external frail hanging on the side of your van. They are made of aluminium or steel and have rubber covering the parts of the frail that make contact with the load to prevent damage. I'm sure you'll have seen an external glass rack before and ours will be the same. They are made from steel or aluminium and fix to your van at the bottom and roof bars or a builders rack at the top. We need your van for a day to fit our frails as they are built from scratch to be a perfect fit for your van.